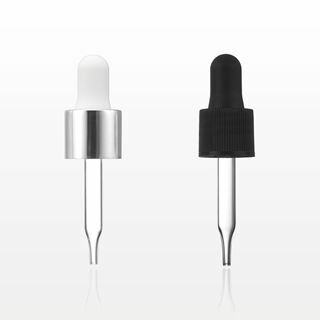 These glass dropper caps fit our 15 ml PET bottles (Part #'s 29588, 29589, 29590, 29605), which are ideal for packaging liquid formulations like oils, aromatherapy products, personal care products, and cannabis products. 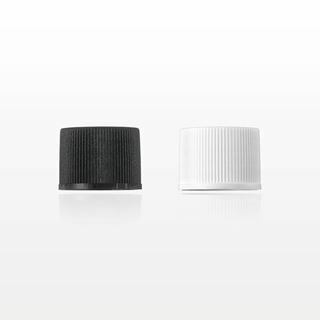 This polypropylene screw cap fits our 15 ml PET bottles (Part #'s 29588, 29589, 29590, 29605), which are ideal for packaging liquid formulations like oils, aromatherapy products, personal care products, and cannabis products. The interior lining in the cap will help avoid product from leaking. 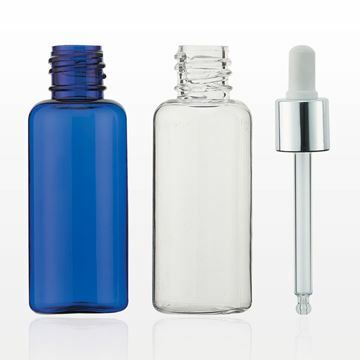 These 15 ml PET bottles are used for packaging liquid formulations, like oils, aromatherapy products, personal care products, and cannabis products. Fits with corresponding glass droppers (Part #'s 29580 and 29582 and corresponding screw caps (Part #'s 29584 and 29586).